Join us to celebrate the Darkest Star tour with #1 New York Times, USA Today, and internationally bestselling author Jennifer L. Armentrout who brings her trademark drama and intrigue to a new romantic YA science fiction series, The Darkest Star. A girl pulled into in a world she doesn't understand finds herself confronted by long buried secrets, a betrayal that could tear her life apart...and Armentrout's most swoonworthy book boyfriend yet. Jennifer L. Armentrout is the internationally bestselling author of the Lux series and other books for teens and adults. Her young adult novels have sold over a million copies since 2011 in the US alone, and have been finalists for the Goodreads Choice Awards and many others. She is the owner of ApollyCon and The Origin Event, the successful annual events that features over hundred bestselling authors in Young Adult, New Adult, and Adult Fiction. 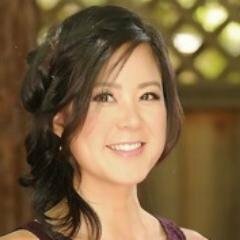 She is also the creator and sole financier of the annual Write Your Way To RT Book Convention, a contest that gives aspiring authors a chance to win a fully paid trip to RT Book Reviews. And her Wicked Series has been optioned by PassionFlix. Jennifer will be in conversation with Evelyn Skye, New York Times bestselling author of The Crown's Game and The Crown's Fate. Please note that Jennifer will be giving away a TDS inspired exclusive Book Beau, FREE, with the purchase of a hard cover copy of The Darkest Star bought from Kepler’s at the event.